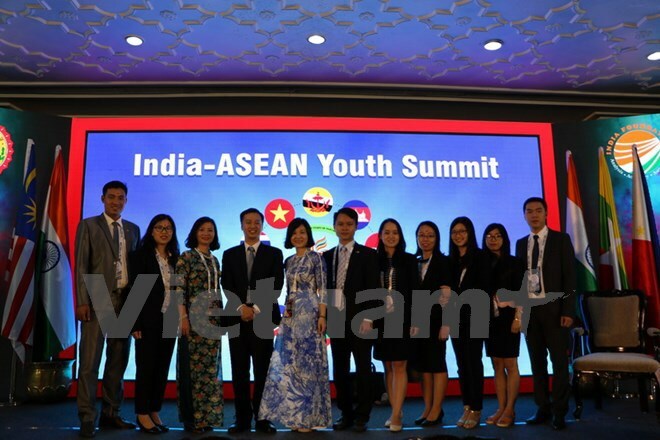 New Delhi (VNA) – The India-ASEAN Youth Summit, themed “Shared values, Common Destiny”, opened in Bhopal city, India’s central state of Madhya Pradesh on August 14. The six-day summit, jointly held by the Indian Ministry of External Affairs (MEA), the India Foundation and the Madhya Pradesh state government, drew the participation of more than 200 delegates from the host country, Indonesia, Singapore, the Philippines, Malaysia, Brunei, Thailand, Cambodia, Laos, Myanmar, and Vietnam. In her remarks at the event, MEA’s Secretary (East) Preeti Saran highlighted that the summit is part of a series of activities to mark the 25th anniversary of India-ASEAN dialogue partnership in 2017. It also reflected close relations in culture between India and the Southeast Asian region in the past two decades. Young delegates at the event will be the future of the dialogue relations between the two sides, she stressed. For his part, Minister of State for External Affairs V.K. Singh affirmed that India will further collaboration with ASEAN and help the bilateral relations develop in a stronger manner with more positive achievements. Meanwhile, Madhya Pradesh Chief Minister Shivraj Singh Chouhan called on the participants to work for the eradication of terrorism, poverty and drug menace. He also underlined the issues of women empowerment and environment protection. Participating young people will have group discussion on India-ASEAN relations, connections, cultural issues, innovation and businesses, digital linkages and information technology. An ASEAN cuisine festival will be included in the summit.